Jessica (17) joined the 2 Week High School Special medical project in early July. The program was organized by Projects Abroad, a global volunteering organization with placements all over the world. During the outreaches, the volunteers hosted a free clinic in areas where fresh water, food, and hospitals were largely unavailable. 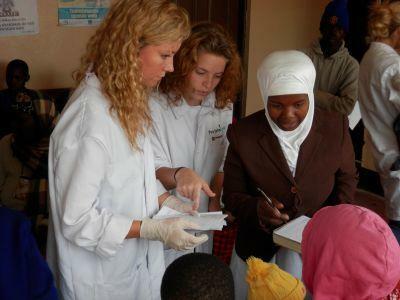 Jessica previously studied Kiswahili before arriving in Africa and her language skills proved critical to communicating with the patients. During her stay in Tanzania, Jessica was also able to learn a great deal about the culture. Read more about Medicine in Tanzania.